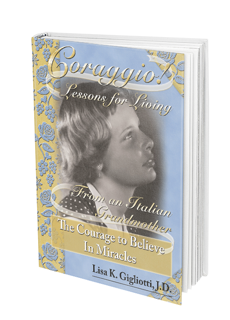 Is the first book in a series of Coraggio! books and covers lessons One to Three. Based on Old World principles, the first three lessons teach that no matter how hopeless a situation, there is always some aspect of it within your control and that can positively influence your health, your medical treatment, your attitude, and your life fulfillment. 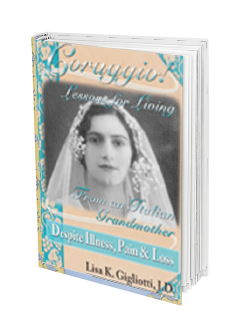 By explaining the importance of loving yourself and others, Coraggio! 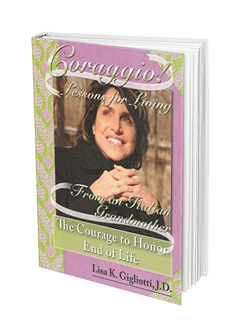 illustrates how courage-inspired love can benefit your health and improve your relationships.